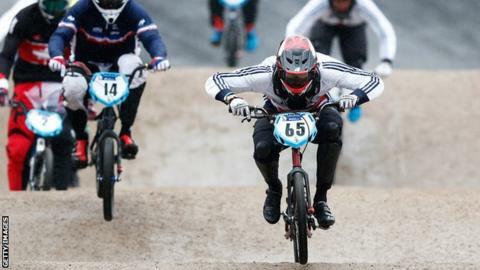 Britain's Liam Phillips won for the third time in this year's UCI BMX Supercross World Cup to extend his lead in the series with one race left. The 26-year-old, who also won in Sweden and Manchester, recovered from a poor start to hold off Australia's Anthony Dean in Argentina. He is 120 points clear of Dutch world champion Niek Kimmann, with 225 points awarded to the winner of each race. "In Sweden I was in control and I made it work again here," said Phillips. The BMX Supercross World Cup comprises of five races, with the last in South Carolina in the United States on 25-26 September.